Earlier this week, we found out the turn-based tactical game Wargroove had covered its development costs in its launch weekend and now the roguelike RPG indie title Tangledeep by Impact Gameworks has had a similar level of success. The developer revealed it took the Switch eShop release a single week to exceed the same amount of copies the Steam Early Access version sold in about half a year. The developer confirmed these launch week sales were enough to cover the costs it took to port the game to Nintendo's newest portable system. Unfortunately, no exact figures were provided. It was also confirmed the Switch version is most popular in Japan, with the country responsible for 33 percent of total sales on the eShop. If it continues to sell like this, Impact Gameworks will release a large DLC expansion called Legend of Shara on Switch. 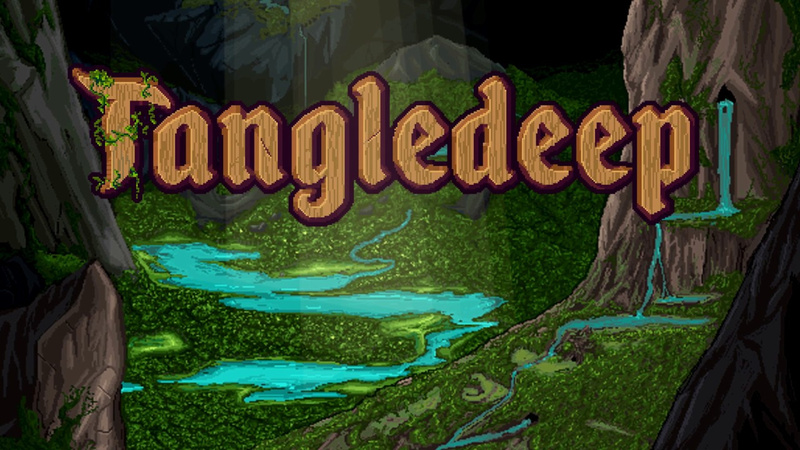 If you're not familiar with Tangledeep, be sure to check out our review, where we awarded it 7 out of 10 stars and said it was a smart, deep and rewarding roguelike RPG designed for seasoned players. Were you one of the many people who downloaded this game in its launch week? Tell us below. I haven't bought the game but I am interested by it so it's on my watch list. If it goes on sale at some point I might grab it. Glad to still read that developers have better success on Nintendo Switch and very happy that Nintendo's Switch e-shop is full of good quality indie games instead of shovelware. Looks a bit like a polished Tales of Maj'Eyal which (obviously) would have less content, but a nicer overall presentation. Glad this is doing well. Like the look of it a lot, so much so I'm holding off in hope for a physical copy. Happy to hear it. I've been playing it nearly nonstop since I bought it on launch night. Even Wargroove couldn't keep me away for long. 7/10 is still way too low a score for the best roguelike on Switch IMO. inb4 "because Switch players are desperate"
@AlexSora89 They are desperate to find the time to play the ridiculous amount of good stuff coming weekly. I think it's fair to say that most games will find more success outside of the saturated poo-storm that is Steam. Looks interesting. If there is a physical release I'll snag it. Looking nice, will definitely buy it once it dropped in price. Not my sort of game, but it's good to hear the developer found a receptive audience on Switch. I love how enthusiastic Switch owners seem to be about experiencing all kinds of genres. @Ralizah we don't go gaga over shoveware and has alot to do with the portable nature of the Switch. So happy for them, as I really wanted this succeed. I don’t want to be negative. But. This is by far the dumbest thing that could be reported on. It's early access vs the finished product. Of course it's going to sell more. seems like Steam can be a good marketing tool to leverage while the game is unfinished all the while generating some interest then sell your more finished product on other consoles. @Skalgrim Celeste was one of the best games to come out all last year. Some of the best games I've ever played have been indies. Tangledeep is a super good game and the floor by floor level design makes it easy to pick up and play. Right now 90% of my Tangledeep playing happens when during Hulu commercials. I hope it keeps selling well, I really want that DLC. Good stuff always nice to hear. If they’re happy I’m happy! If those who bought it are happy too? Then it’s great news all round. If we are talking about indie success stories, what happened to Travis strikes again no more heroes?how much did it sale so far? It also helps that the Steam version has done most of the legwork for exposing people to the game. If it were a brand new game, people would be more hesitant in buying it. They wouldn't have access to many reviews, word of mouth etc. It looks pretty good, and I've read people speaking well of it. I will consider it for the future. Though it doesn't mean it's sold particularly well, just because it's sold more than Steam on early access. That could equate to a few thousand downloads for all we know. Just because it's now covered the cost of porting, does not a success story make. @nate83km sold well enough that they are canceling a crowdfunding they set up in case they didn’t make enough money to stay in business. It sold well enough they are actually refunding 2x whatever people donated. I'm sure the Switch sales are really good but it isn't a good comparison to use Steam "Early Access" as its competitor. Early Access has an extremely terrible reputation, and has done for years. Still good for them if they making bank, regardless of numbers. @Tantani Being from Nintendo will likely have to wait til their fiscal report in April unless they let out numbers for their January releases. @nate83km Going by SteamSpy, it looks like Tangledeep is at the bare minimum at 25,000 sales. Clocked over 10hrs and really enjoying so far. It really is a "Rogue like", as in its almost exactly an enhanced version of Rogue. Dying is frustrating, sometimes it's hard to gauge how hard an area is until it's too late. @nate83km From whose perspective is it not a success? If it makes back the money invested to port it that quickly, I'm not sure what kind of failure it could be. On these indie success reports on Switch I keep seeing dissatisfaction about seeing actual numbers, but the indies seem very happy and their continued work is dependent on successful games (without a sponsor publisher to eat the cost of failures). These types of stories are very important to the vibrancy of the indie game market and Switch is a significant player in that space now. I don't think a $ value to it is relevant at all given how every studio and situation is different. Big numbers of giant studios with giant publisher backing are a somewhat different story, though the risky budgets that the mass gamer market demands also puts studios on the brink of bankruptcy from time to time.